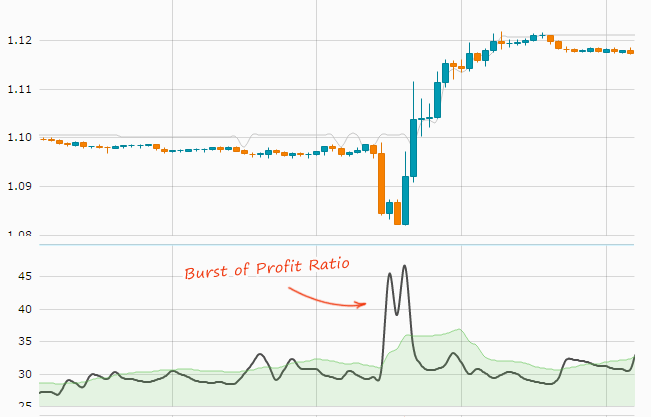 Profit Ratio is a percentage of traders currently being in profit. Usually its value lies within the range of 25-35%. According to “trading against the crowd” theory, the rapid burst (growth) of profit ratio indicates possible manipulations. Explore our Profit Ratio tool. This is how the profit ratio works: firstly, the price goes down so that everyone believes in a downtrend; when all traders sell, it goes up. The green line acts as a signal line, and the black line displays the Profit Ratio value. You can use a delta chart to catch the burst more easily. Each green delta bar with the value more than 2% can be a signal. 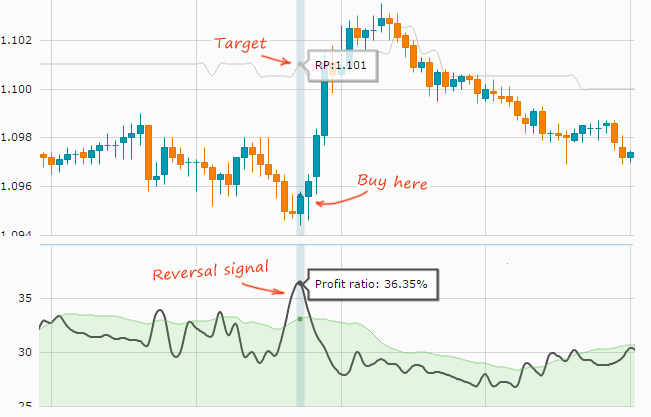 The Profit Ratio tool also displays a percentage of profitable bullish and bearish traders.